This week on 4 April is Senegal’s Independence Day and Senegalese people have much to be proud of. It is a vibrant and welcoming country, rich in traditions and natural beauty. Senegal is also one of the sub-Saharan countries with the highest access to electricity rates (64% nationwide). However, there are still millions in the dark. Just 42% of people living in rural Senegal have access to electricity. This country is working hard though to bring energy to all of its citizens by 2025 and has begun revitalising efforts to end energy poverty in rural Senegal. 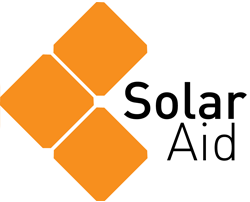 ElleSolaire is a women-led enterprise bringing solar technologies to Senegalese living in rural areas without access to electricity. Last November, we partnered with ElleSolaire as they set out to bring clean energy to 7,000 people before 2020 through their women-centred network of solar entrepreneurs. Khady Sarr, who works in Palmarin Ngallou, is one of their 545 women entrepreneurs, and was one of the top sales women during the 2018 pilot that reached over 3,500 people.